April 5, 2015 jimharnish7 Comments on Really Risen! Believe that? You bet! Explain it? You’ve got to be kidding! One of the reasons I believe in a “liberal arts” education is that there are some things that are too real, too deep, and too powerful to be known or experienced only through our current obsession with STEM (science, technology, engineering and math) education. One of those realities is the resurrection. So, for Easter, instead of explanations, I offer a painting and a poem. Caravaggio (1571-1610) captured the incredulity of the disciples when the Risen Christ invited Thomas to “put your finger here and see my hands. 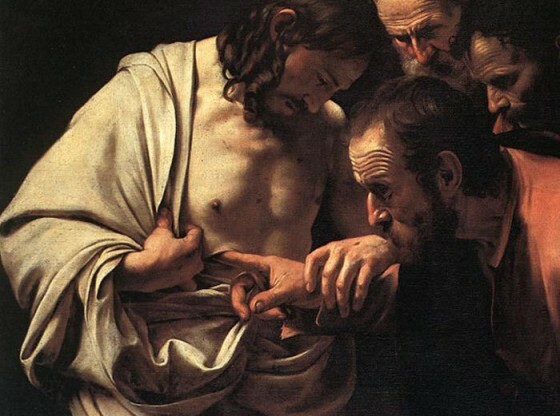 Reach out you hand and put it in my side.” (John 20:27-28) There is a ruthless realism about the way Jesus guides Thomas’ finger into the ugly scar on his side. The artist draws us into the reality of the story in ways than no scientific explanation ever could. The poet is John Updike. His “Seven Stanzas for Easter,” forces us to accept the “monstrous” reality of resurrection. May we, with the artist and the poet, experience again the earth-shaking, life-transforming, monstrously-miraculous good news that the grave can’t keep Him in and the world can’t keep him out! He is risen, indeed! Christ has risen and we are counting on it. Happy Easter Jim and Marsha. Just returned from our annual Sunrise Service and coming home to get ready for 2 more services and 34 guests for dinner. In a rush! Always! And then your BLOG filled with amazing and mind-blowing ideas. I KNOW all of this but then get BOGGED down in the details. 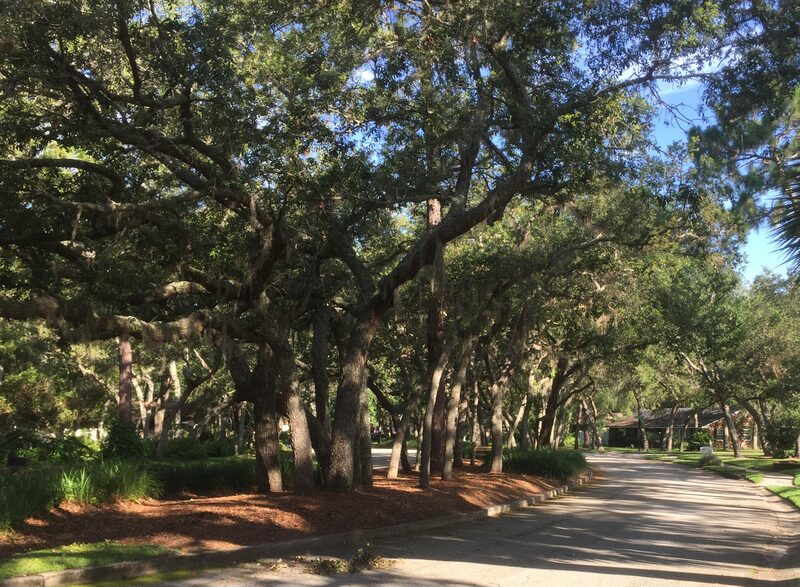 I needed this new AHA moment, just NOW, just a vivid picture piercing through my consciousness as I shower…something to carry before me as I move through this day. Thank you again, Dr. James Harnish for this REAWAKENING to just what RESURRECTION actually entailed. Your blogs always enhance my spirit. I attended the sunrise service at the Waterworks Park on the Hillsborough River sponsored by the Portico. Roger ran the service & it was well attended, more than any I have attended in the church courtyard. I was a parking aide. The lot & street parking were full. Most parishioners brought their own chairs, although the church provided some. Others sat on blankets on the ground. Some had to stand. The weather was overcast & the sun refused to rise in the East. However, there was moonlight to the West. Fortunately Roger had a tiny book light. He gave a great witty sermon. He explained that the altar was a Portico chapel door, set on A-frames. He likened it to the Open door. He really has a great wit! He invited us to attend another service at the Hyde Park campus. So I did. At Magnolia Danny gave a delightful, first-ever children’s talk on the wall of sin that was keeping the animals from reaching food & water. Justin gave the sermon. His thesis was “Just Show Up”. It was very inspiring. I think I’m becoming a series junkie with the wonderful team we have at Hyde Park. You have left quite a legacy! Thank you for reminding us not only of the physicality of Jesus’ resurrection but also the importance of the liberal arts.